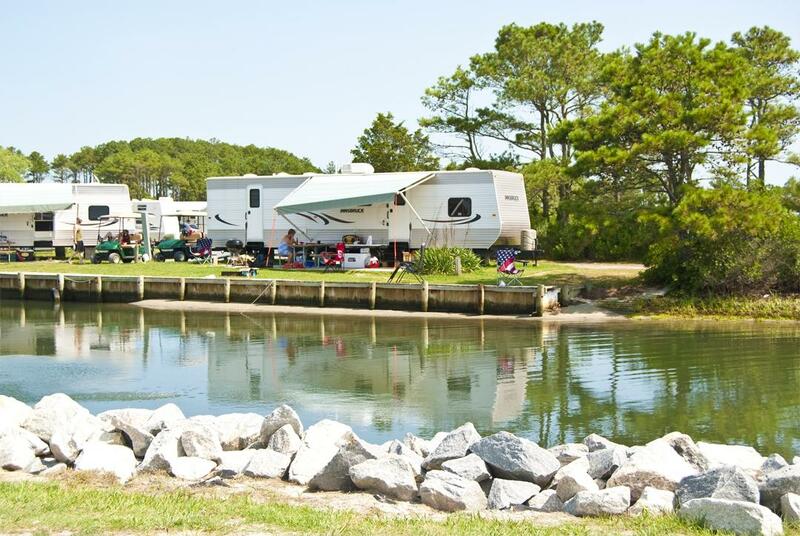 Resorts typically have more amenities than your average RV parks and campgrounds. While you will usually be paying more per night at resorts, you’ll also have a level site with full hookups and access to all of their facilities like pool, spas, and laundry machines. 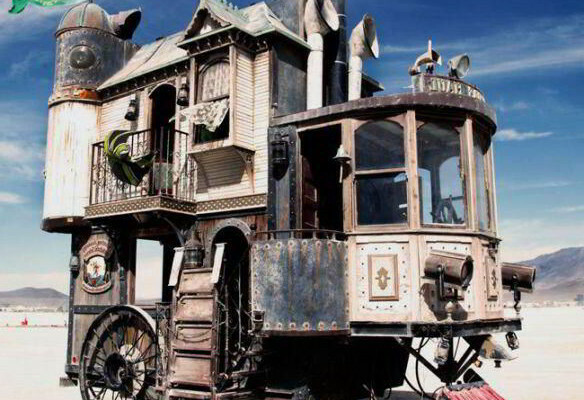 These unique places also have something extra for guests during their stay. 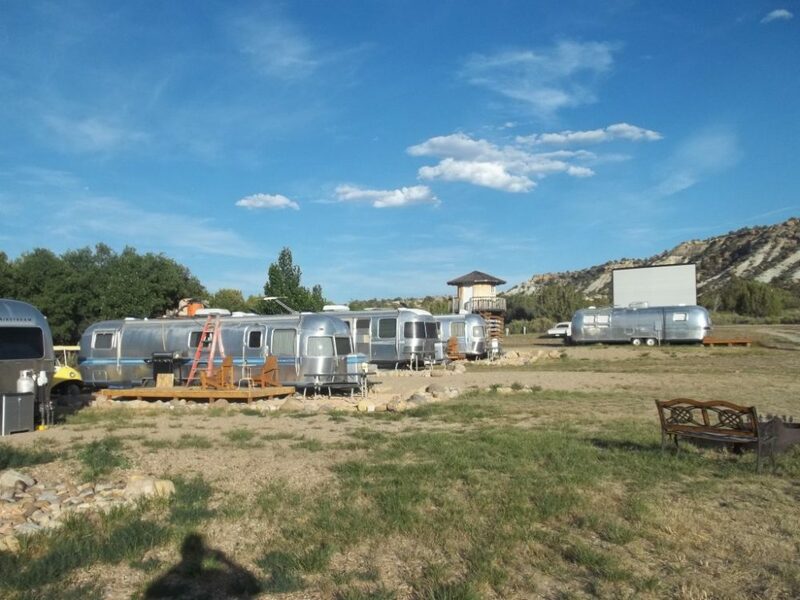 Shooting Star RV Resort has an outdoor movie theater with films beginning at sunset throughout the week. 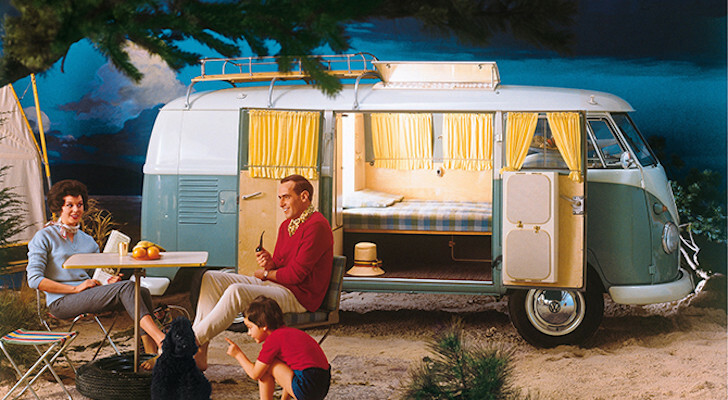 You can reserve one of their 1960s classic cars to watch the movie from, bring your own lawn chair, or sprawl out a picnic blanket on the grass. To make it a real cinema-like experience, they also have a snack shack with popcorn, candy, and bottles of pop for sale. The resort borders Grand Staircase-Escalante National Monument in Southern Utah’s red rock country. RVers can pick between spacious pull-through sites with full hookups or more secluded spots hidden among sagebrush. They also have communal firepits across the property, a large pavilion, and a private restroom/shower. 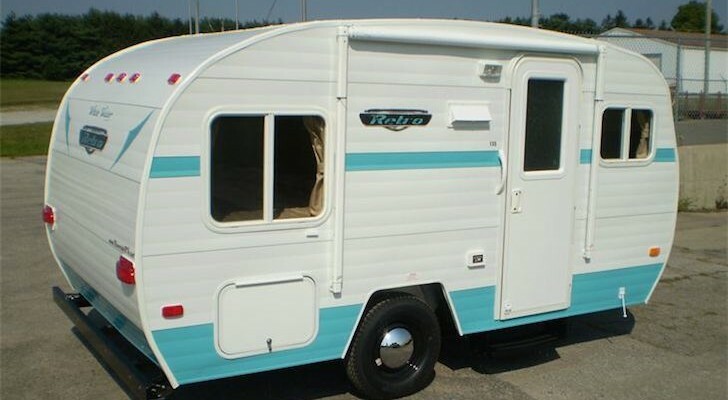 Their Airstream trailers are each uniquely decorated like a dressing trailer from an old Hollywood movie. 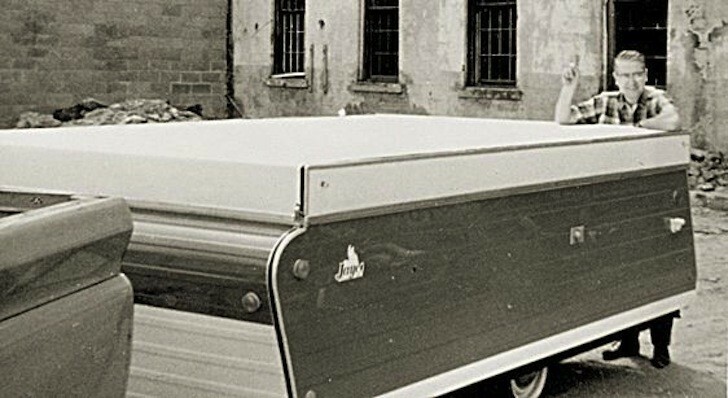 Some of their themes include Ann’s Cabana inspired by Ann-Margaret from Viva Las Vegas and Holly’s Hideaway designed to resemble Audrey Hepburn’s trailer while she was filming Breakfast At Tiffany’s. Free star shows with astronomers are offered nightly in Butterfield RV Resort’s observatory. Simply sign up in the front office by adding your name to the list. If possible, sign up early because they only have seating for 18 people. They offer full hookup sites with cable TV and access to all of their facilities. This not only includes the observatory (which houses a state-of-the-art telescope), but also their heated pool, spa, laundry facilities, exercise room, BBQs, pavilion, golf driving cages & putting green, and even a woodshop. The resort is set within the Arizona desert less than an hour from Tucson. They’re also close to other attractions in the area like Kartchner Caverns State Park and the towns of Bisbee and Tombstone. Frontier Town on Maryland’s coast will give you a real Wild West experience. This RV resort has its own western theme park along with over 500 campsites ranging from primitive to full hookup waterfront sites. Old-timey saloons are located across the theme park and serve a variety of food and drinks. The park also has antique-style portraits, actors performing shows, a Pony Espresso & Creamery, camp store, water park, and mini golf. A short five-minute drive from the resort is Assateague National Seashore with miles of sandy beach along the Atlantic Coast. The resort town of Ocean City is a ten-minute drive north with attractions like amusement parks and museums. 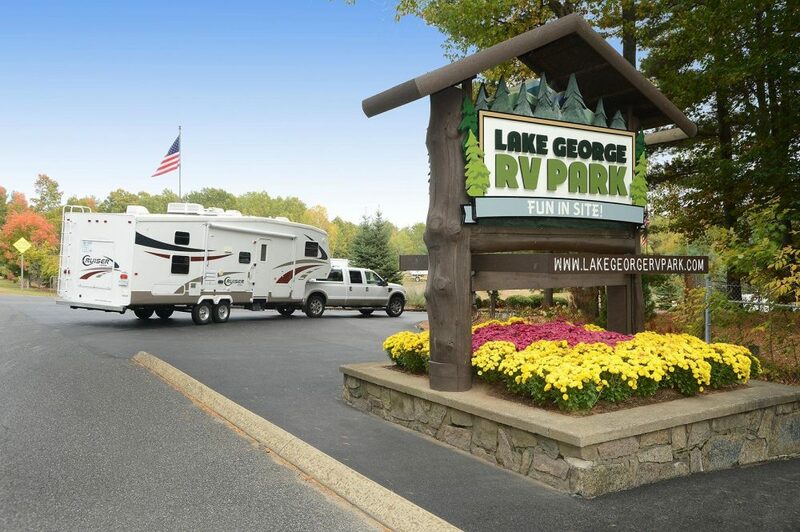 Lake George RV Park is a popular RV destination in upstate New York’s Adirondack region. In addition to the amenities they currently offer, like an off-leash dog area and playhouse with live entertainment, the park is also newly introducing an aquatic park this 2018 camping season. It will have a huge swimming pool, three spas, a spray ground, and spiral slide. They also have screens that show films during the summer and a spring-fed pond where you can go fishing. Hop onboard their free trolley to see around the park and other notable spots in the area. Wine Ridge RV Resort is conveniently located next to a winery and less than an hour from the Las Vegas Strip. The resort itself has a newly expanded pool area with a large pool, spa, gazebos, and fire table, along with over 120 full hookup sites and cottage rentals. Their neighbor Pahrump Valley Winery offers free tastings of award-winning wines. After you’ve sampled some blends and picked up a bottle to go, head over to the adjacent Symphony’s Restaurant for a variety of sandwiches, wraps, and entrees. 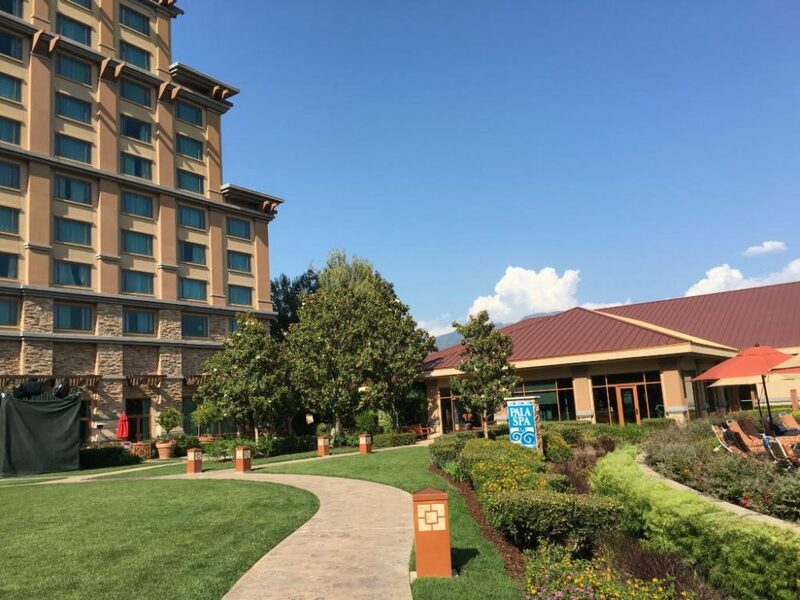 Pala Casino doesn’t only offer overnight parking, but they have an entire 10-acre resort with over a hundred full hookup sites. Their amenities include a heated swimming pool, spas, BBQ grills, a dog park, and laundromat, as well as a free shuttle service to the casino where you can play slots or try your hand at blackjack. The casino resort is set in Southern California only a half-hour from the many wineries and vineyards in Temecula. If you’d rather relax than gamble, visit their spa for a massage, facial or other refreshing body treatment. They also have a fitness center, live entertainment, and variety of on-site restaurants. 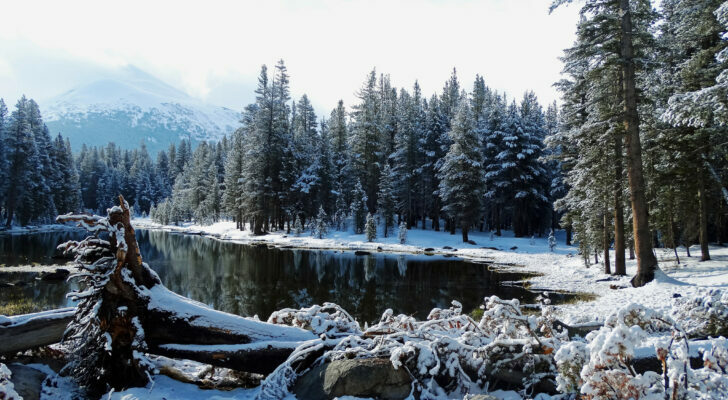 Kah-Nee-Ta Resort is a hidden oasis in Central Oregon’s high desert. 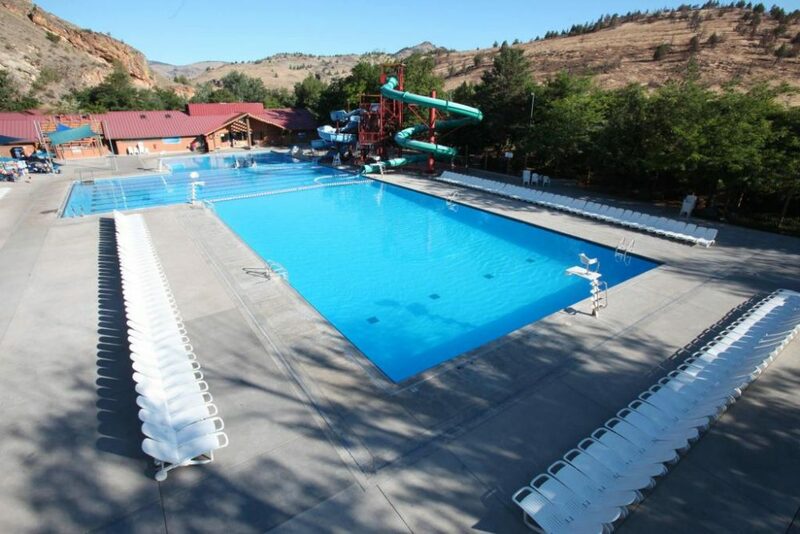 They have a double Olympic-sized hot springs mineral pool that you can soak in equipped with two large slides (140 feet and 184 feet long). It’s heated during the fall and winter (86-91 F) and cooled in the summer (88-91 F). Their resort also includes a spa, championship 18-hole golf course, and variety of great dining options. 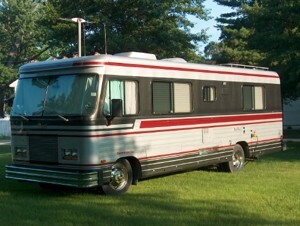 You can read more about all of their amenities in my article on RV Life. 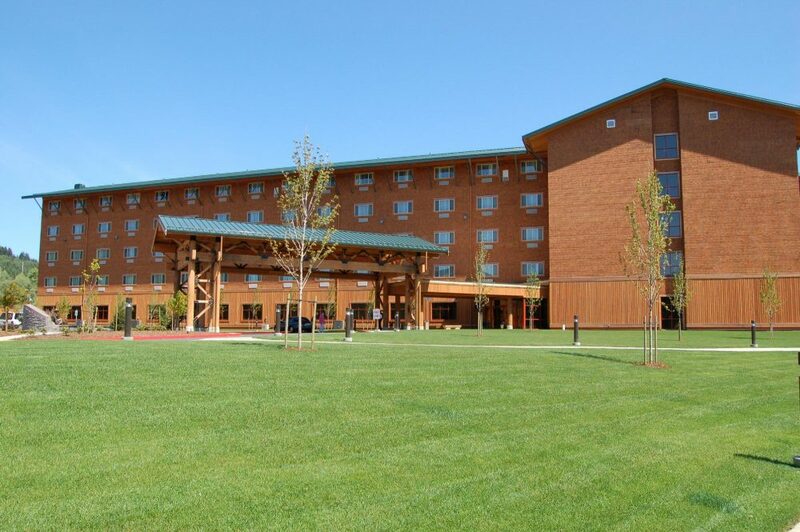 Little Creek Casino is south of Shelton, Washington off the scenic Highway 101. 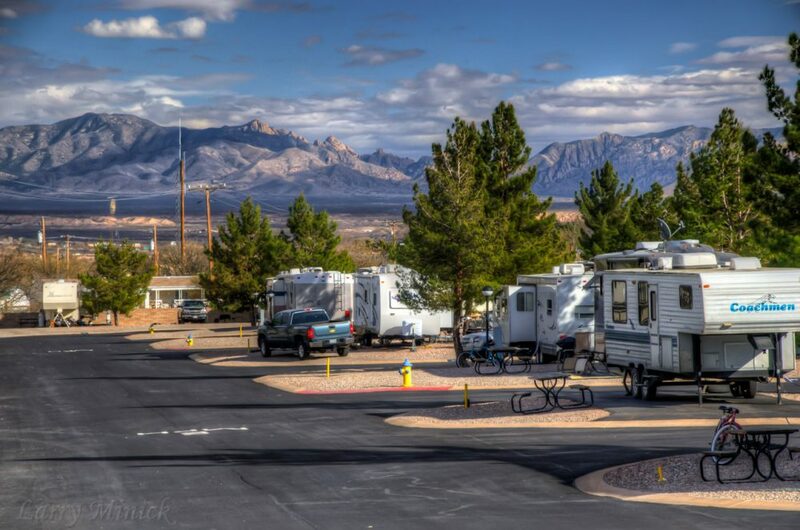 They have full hookup RV sites located directly next door to their casino, along with an 18-hole golf course, spa, restaurants, and lounges. Access to their swimming pool, hot tub, and fitness room are all included in their nightly rate. They also have laundry facilities on-site that are coin-operated. 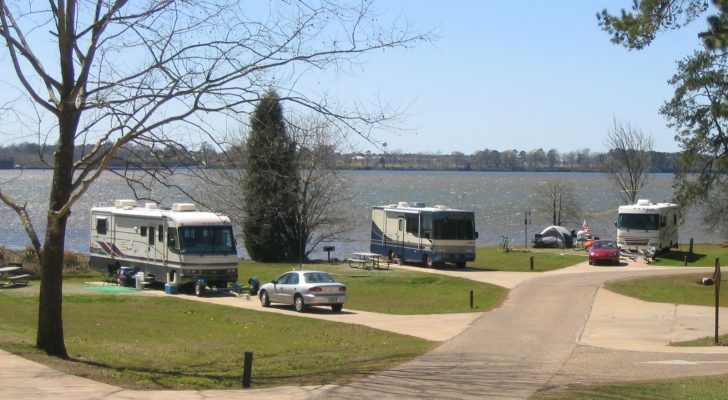 Park your RV at Gator Grounds in Central Louisiana and you’ll have access to their water park, outdoor movie theater and more. You can make your way down three slides, take on their zip line course, play a round of golf, relax on their lazy river or by the fishing ponds. They also have an on-site Gator Grill restaurant, convenience store, playground, and arcade. Borrego Springs is one of the few designated Dark Sky Communities where you can experience the darkest night skies for stargazing. Thanks to their location in the remote Southern California desert, the town also gets on average 300 days of sunshine every year. 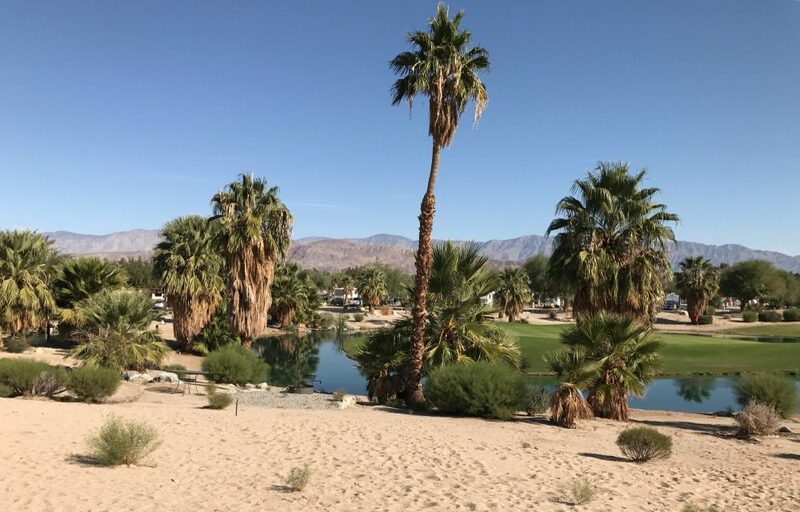 The Springs at Borrego RV Resort is the perfect laid-back home base to experience the area with both full hookup sites and rentable park models. Their facilities include a wellness center with hot mineral baths, their own astronomy park, and a 9-hole golf course. 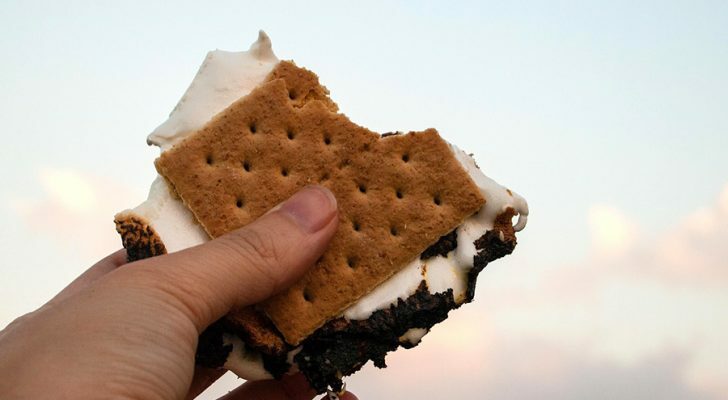 Throughout the year the resort holds social events like star parties, campfire Tuesdays, and wine socials.